Chateau Matras has a long history in Saint Emilion dating all the way back to the 12th century. At the time, the property was used as a church. Chateau Matras was until recently, owned by the Gaboriaud family. This 6.8 hectare Chateau Matras vineyard is planted to 70% Merlot and 30% Cabernet Franc. The vines are on average about 35 to 40 years old. The terroir of Chateau Matras is sand and clay with some limestone, chalk and iron deposits. At Chateau Matras, prior to their sale in 2011, alcoholic fermentation took place in temperature controlled, steel tanks. Malolactic fermentation took place in barrel. The wines were aged in 50% new oak for 18 to 24 months. Today, the wine is aged in 20% new, French oak barrels for 18 months. 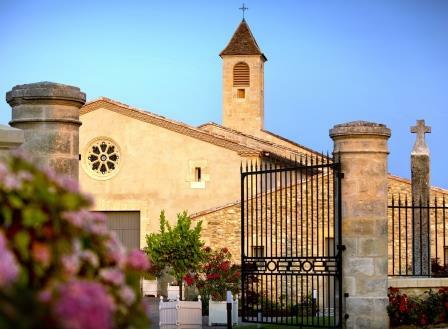 In 2011, Chateau Matras was purchased by the owners of the luxury goods manufacturer, Chanel, who also own Chateau Canon in St. Emilion, as well as Chateau Rauzan Segla in the Margaux appellation. With the funds and desire to produce the best wine possible, along with good terroir, it will be interesting to what happens. After the purchase by the owners of Chateau Canon, the vines from the Right Bank vineyard were absorbed into Chateau Canon. Chateau Matras is best served at 15.5 degrees Celsius, 60 degrees Fahrenheit. The cool, almost cellar temperature gives the wine more freshness and lift. Young vintages can be decanted for up to 1 hour. This allows the wine to soften and open its perfume. Older vintages might need very little decanting, just enough to remove the sediment. Chateau Matras is best paired with all types of classic meat dishes, veal, pork, beef, lamb, duck, game, roast chicken, roasted, braised and grilled dishes. Chateau Matras is also good when matched with Asian dishes, rich fish courses like tuna, mushrooms and pasta. The final vintage for Chateau Matras was the 2010. Most of what went into Chateau Matras is now placed in the second wine of Chateau Canon. Previously that wine was called Clos Canon. Starting with the 2012 vintage, the vines that were previously used to make the second wine of Chateau Canon, are now placed into the second wine of Chateau Canon called Croix Canon. Earth, cherry and tobacco scents lead to a medium bodied, light, red fruit finish. This is fully mature and should be drunk up.